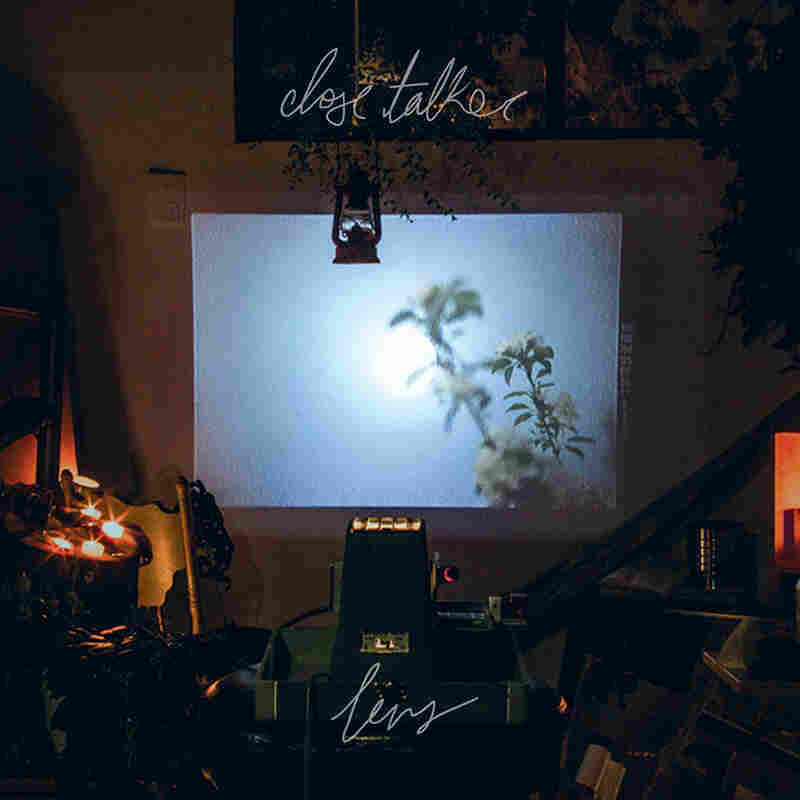 Stream Close Talker's Forthcoming Album, 'Lens' The Saskatoon trio's songs purr seductively, with warmly shimmering guitars and an overarching subtlety that's inviting, never distant. "I feel so far away / While we're sittin' here in a similar room," Will Quiring sings about a minute into Close Talker's "Afterthought," and there's something about the way he delivers that line that makes it sink deep under the skin. The words are freighted with wounded alienation, conveyed in a kind of smooth whisper as they plead unmistakably for connection; for an end to the figurative and literal distance between two people. It's a stunning song that captures far more feeling than a raw reading of its chorus — "Come on, baby, won't you stay? / I've said it like a hundred times" — might suggest. "Afterthought" captures the Saskatoon trio at the height of its intimate, persuasive power, but that song's pleasures radiate across Close Talker's second album Lens: in the warm, subtle shimmer of Matthew Kopperud's guitars and synths; in Quiring's voice, which at times mirrors the seductive purr of Rhye's Mike Milosh; and in an overarching subtlety that's inviting, never distant. Lens most frequently focuses on love and connection frustrated by the walls people place around themselves, whether Quiring reflects on forbidden romance (the churning "All Of Us"), slyly punctures pretensions ("Okay Hollywood") or looks back on an inherently fleeting relationship (the six-minute album-ender "Seasonal Friends"). Close Talker's members are clearly fascinated with the way people push each other away, but their music never stops inviting you further and further in.